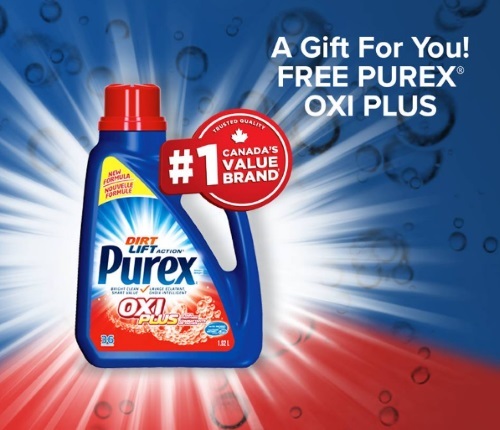 Purex is giving away Free bottles of their Purex Oxi Plus detergent! To enter just share the post at the link below for a chance to win. There are 5 bottles up for grabs (each consists of a coupon for a Free bottle). Contest closes September 23 at 11:59pm ET.